Ella (my eldest, 11yrs old) often cooks dinner on a Sunday night. Last week it was for Mother’s Day. On a Sunday night we have time to play in the kitchen, and if I have had a Thermomix demonstration that day, I am very happy for the night off. The Thermomix is a great tool to teach children to cook. They are able to learn the principles of cooking, without the danger of the hotplates and sharp knives. They still use a knife to chop ingredients into large pieces but they don’t have to do the fine chopping which can be a little more difficult to master. This is Ella’s own recipe. It’s simple but full of flavour. I love my kids in the kitchen. Put spring onions, garlic, ginger and coriander into TM bowl and chop Sp8/5secs. Scrape down the sides and add a splash of sesame oil. Saute 2 mins/100’/Sp2. Add chicken fillets and mince by locking the lid and pressing Turbo for a few seconds. Do this a few times and take a peep through the lid to check consistency. 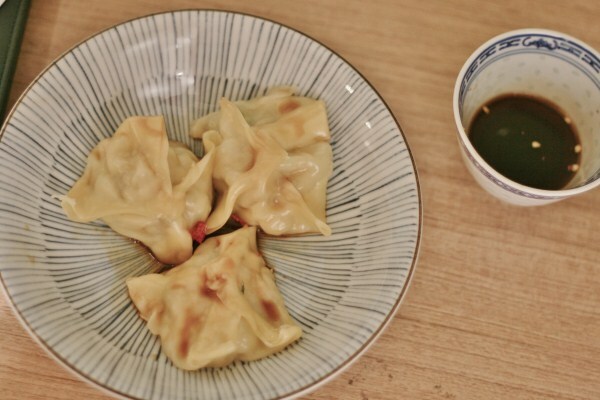 Place 1 tsp of filling in wonton wrappers and wet the edges. 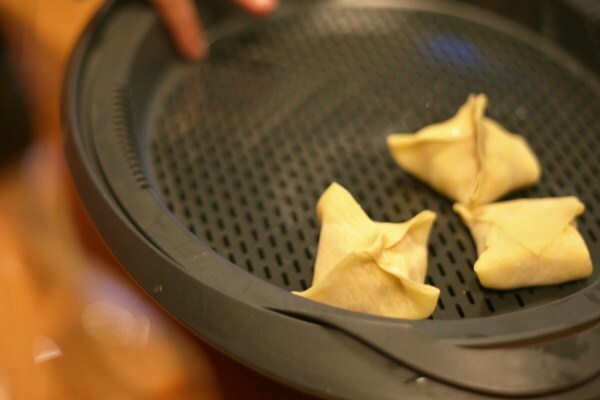 Press four edges up to form a parcel.Oil the base of the Varoma dish and tray and place wontons on top. Meanwhile finely dice the chili and add to soy sauce and oil for a dipping sauce. Excuse my ignorance but what do you do with the rice when its cooked?